a veritable pushover to assemble. Like the others in the range, all CAD designed and cut parts. chance to get air under her wings sadly. a null and void issue. Built jointly between me and my best friend Chris. 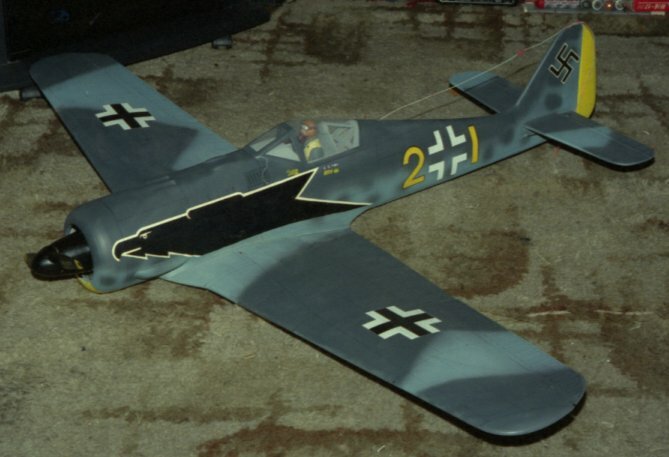 The paintwork was a 'borrowed' scheme from his Airfix 1/24th FW190. which was a mask and hand paint affair. The other markings came from the kit if I recall. before she had to be sold off.